Bringing the National Geographic Genographic Project to County Mayo is a joint initiative between National Geographic, the Enterprise and Investment Unit in Mayo County Council and www.mayo.ie. 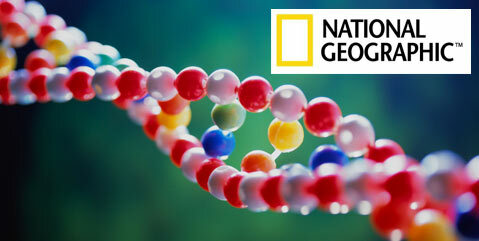 Dr Spencer Wells, Geneticist, Anthropologist, and Explorer in Residence with National Geographic, will deliver a public lecture about the Genographic Project at 6.00pm on Monday, 24 June 2013 in the Linenhall Arts Centre, Castlebar. A Question & Answer session will follow the lecture. All are welcome. This lecture is an exciting addition to the public event on Sunday, 23 June 2013 in the National Museum of Ireland - Country Life, Turlough, when the results of DNA swabs from 10 prominent Mayo people will be revealed. On Sunday, a further 100 volunteers from around Co Mayo will contribute their DNA to help the Genographic project gain a genetic snapshot of the Irish population. The results from these volunteers will be analysed by National Geographic and revealed at Mayo Science Week in autumn 2013.